... especially my new ones: Jacob, Sam, and Jocelyn. The new Penguins of Madagascar DVD comes out today! 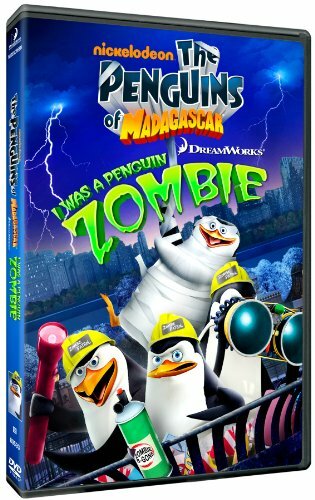 Penguins Of Madagascar: I Was A Penguin Zombie! It has not only that great Halloween from last year, but a brand new episode that's never been out before! Plus 6 more episodes! And even though we have them recorded, we all know we want this DVD, even for just the new episode! So you go bug your mom (she probably wants it too) and I'll see who has it in my area! With luck, we all be watching it tonight!